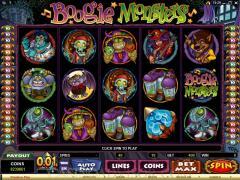 Boogie Monsters is a video slot game offering from Microgaming, the top dog when it comes to online casino software. This is a five-reel game, with 40 paylines, and you can make a maximum wager of 400 coins. In this game there are two different scatter symbols and two different bonus games. In one of those you can win up to 24,000 coins, and in the other you can get free spins, in which all wins are multiplied five-fold. "Scatter" symbols do not have to appear on an enabled payline in order to win or contribute to a win. They can be scattered anywhere on the five reels. 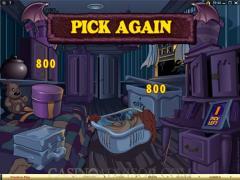 In Boogie Monsters there are two scatter symbols - the Fat Bat symbol and the Lamp symbol. 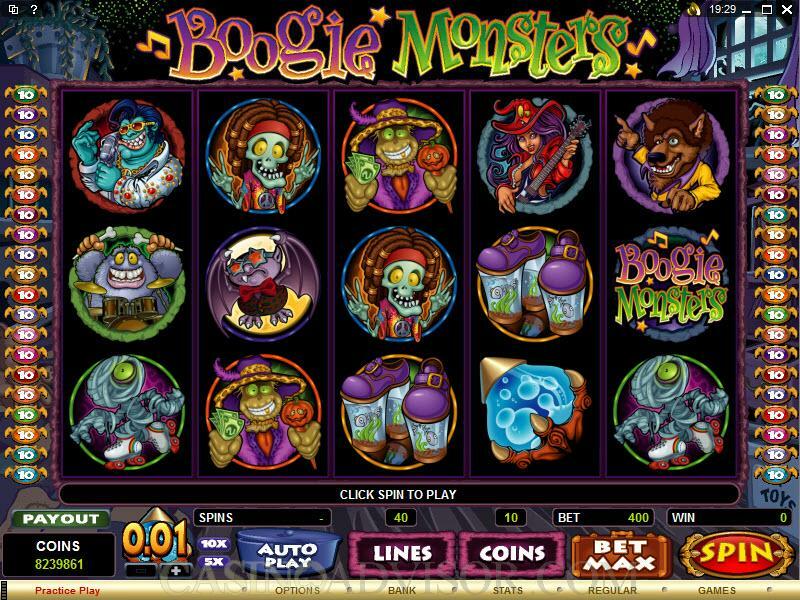 Boogie Monsters has two different bonus games, having different formats and offering different opportunities. There is the Fat Bat Bonus Game, which is naturally activated by the Fat Bat scatter symbol, and more specifically, three or more of them that must be scattered on consecutive reels. In this game you are looking for the hidden bats so they can reveal random bonus amounts. There is a maximum of 24,000 coins that can be won in this bonus game. The other bonus game is called the Free Spins Bonus Game, in which you would earn free spins of the reels - thirteen of them, to be exact - with all wins multiplied by five. The Free Spins Bonus Game is triggered by the presence of three or more Lamp symbols scattered anywhere on consecutive reels, as long as they are scattered from left to right. The maximum wager here is 400 coins, with a maximum of ten coins per enabled payline, and you can "cut to the chase," so to speak, by clicking the "Bet Max" button at the bottom of the game interface. The coin sizes come in increments of .01, .02, ,05, .10, .20, .25 and .50. Interested in reading more detailed information about Boogie Monsters? If so Click Here for more details.